Although is sounds like a Swedish dish, a semordnilap is a word, phrase, or sentence that can be read in reverse with a different meaning. An example of a semordnilap is “evil / live.” But perhaps the most well-known example of a semordnilap is: “dog / god” — the subject of much philosophical pondering. So how is a semordnilap different than a palindrome? Although they are related, a semordnilap is different from a palindrome because the word or phrase that is formed from the reverse spelling has an entirely different meaning; in a palindrome the meaning is exactly the same if read in either direction. For example, the palindrome “Madam I’m Adam” reads the same backward as forward. Palindromic words like noon, civic, radar, level, and madam all have the same meaning spelled backward and forward. Willard Espy, a clever passionate word-lover, wrote several books on wordplay. One of his most popular works, The Game of Words (published in 1971, and republished in a new edition in 1980) lists the definition of semordnilap on page 185: “Semordnilap is ‘palindromes’ spelled backwards, and stands for words that spell different words in reverse. 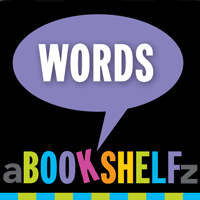 Some examples: devil, repaid, stressed, rewarder, straw, maps, strap, reknits, deliver, bard, and doom.” More recently, Anu Garg, creator of the Word A Day website and author of A Word A Day (2003), has an entire chapter on semordnilaps. On page 66, Garg writes: ” Desserts is an example of a reversible word, which when read from the right yields another word… Another word for reversible words is semordnilap, a self-referential word coined by reversing the word palindromes.” Garg then presents five examples with detailed notes: avid, ogre, debut, nonet, and rebus. Read related posts: What is a Levidrome?